Connecting children through sharing a love of reading and putting a library in every under-served Chicago public school that doesn't have one of their own. We have families, jobs and all the usual responsibilities of modern life—permission slips to sign (after we find them), socks to sort (if we can match them), kids to get out the door and jobs to go to. We use our own homes, time and resources (we’re not a 501c3) to collect books for Chicago Public Schools with 15% or more homeless kids and no libraries/library equivalents. While our families are different with kids ranging from early elementary through high school, what we have in common is books. Our homes are filled with books, our children’s lives are filled with books and our neighborhoods have wonderful libraries. We’re also regular people who recognize that not all kids are as lucky as ours. Many kids in Chicago never touch a book until they go to school. Fifty percent of all Chicago Public Schools do not have libraries and for the thousands of CPS students who do not have a permanent address, even just getting a library card is impossible. 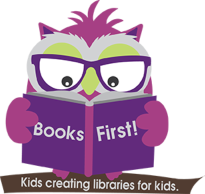 In the next five years, BooksFirst! will create libraries in every CPS school with 15% or more homeless kids and no library/library equivalent. In the next five years, we’ll have multiple drop-off points at family homes around the city so we can collect books throughout the city. 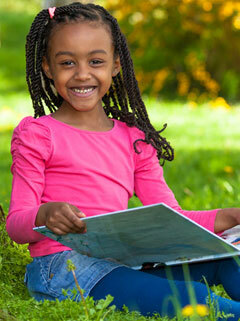 In the next five years, we’ll help other families in other locations start their own BooksFirst! Every family, every child can make a difference in the life of another child, another family. BooksFirst! is our opportunity to do so, and yours. Call BooksFirst HQ at 773-472-3709 or email us at booksfirst01@gmail.com.